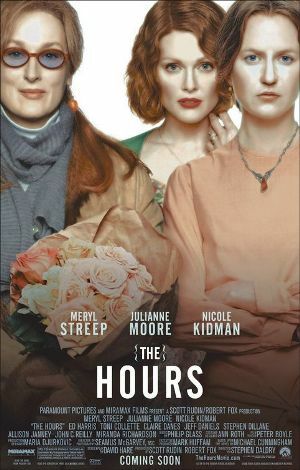 Synopsis: The story of how the novel Mrs. Dalloway affects three generations of women, all of whom, in one way or another, have had to deal with suicide in their lives. Did You Know? Meryl Streep is mentioned in the original novel that the film is based on. I liked Nicole Kidman’s performance a lot less this time around than I did the first two times I watched it. I’m not really sure why. Nevertheless, this story is still very important to me. As someone who suffers from depression and has contemplated suicide, or rather contemplated what the world would be like if I’d never been in it, the story hits close to home, particularly Julianne Moore’s part. Something interesting I noticed about the acting Oscar nominations: Nicole Kidman was nominated for (and won) Best Leading Actress, while Julianne Moore, who’s role equal to Kidman’s, was nominated for Best Supporting Actress. I think this was because she simultaneously nominated for Leading Actress for Far from Heaven. Meanwhile, Meryl Streep didn’t receive any nomination for this film, as she was contending for Supporting Actress for Adaptation. Miramax probably didn’t want to include Streep in the Leading Actress race, because they didn’t want to harm Kidman’s chances of winning. So they threw Streep in for consideration for Supporting Actress, but the Academy opted for the actress’s turn in Adaptation. (which, by the way, is one of my favourite Streep roles).